Get outdoors at Walking tours and Alice Springs Desert Park. Step out of Alice Springs with an excursion to Hermannsburg Historic Precinct in Hermannsburg--about 2 hours away. Spend the 2nd (Tue) exploring nature at Finke Gorge National Park. Spend the 5th (Fri) exploring nature at Owen Springs Reserve. 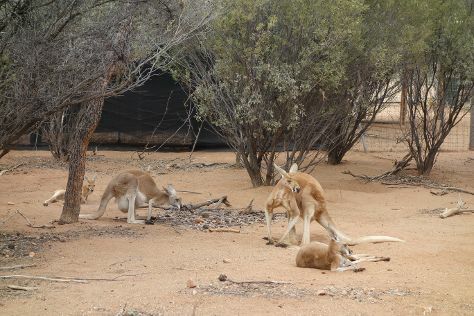 The adventure continues: look for all kinds of wild species at The Kangaroo Sanctuary, take an in-depth tour of Alice Springs School of the Air Visitor Centre, don't miss a visit to Ormiston Gorge, and take your sightseeing to a higher altitude at Mount Gillen. March in Alice Springs sees daily highs of 40°C and lows of 21°C at night. You will leave for home on the 26th (Fri).